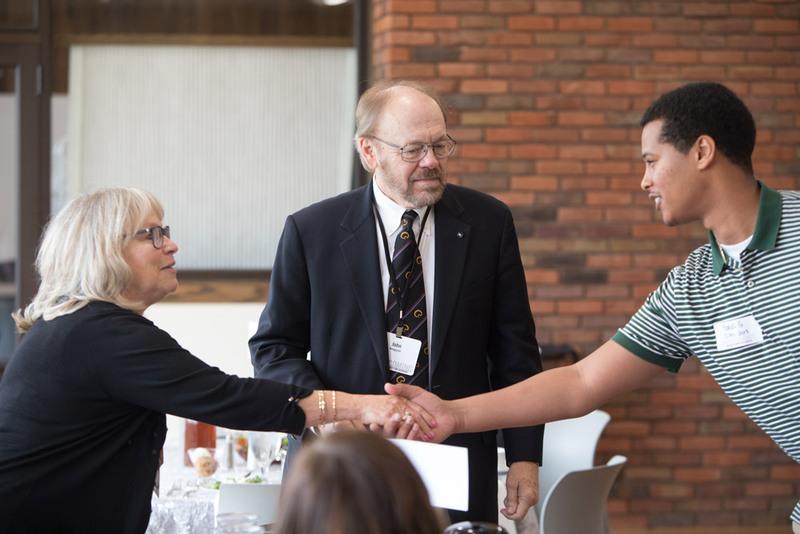 The Augsburg experience is supported by an engaged community that is committed to intentional diversity in its life and work and we believe that we are called to serve our neighbor and the world. In celebration of this calling yearly, we lift up some of our most accomplished Alumni through the Alumni Awards Program. What Awards can be given each year? 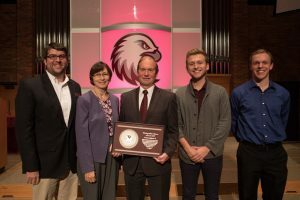 Awarded to Augsburg University alumni in recognition for significant achievement in vocation, for outstanding contribution to church and community, and for a life that exemplifies the ideals and mission of Augsburg University. Augsburg alumni (only persons who attended Augsburg University both graduates and non-graduates) are eligible. 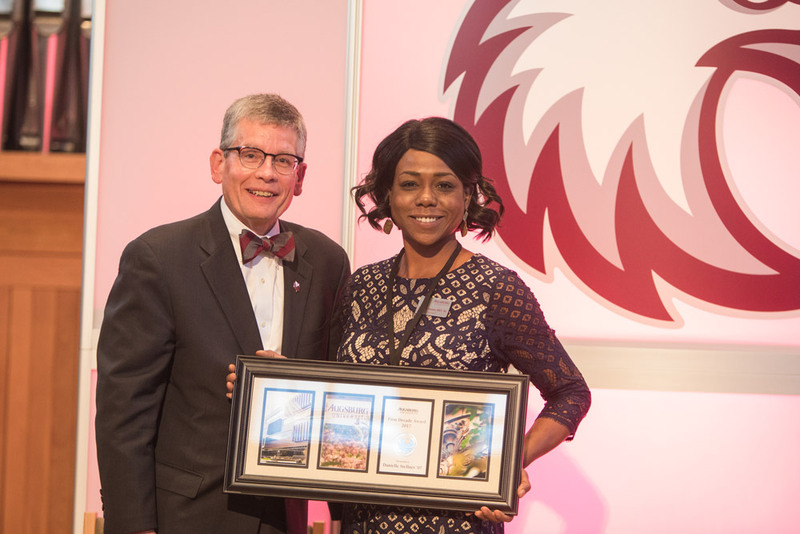 Awarded to Augsburg University graduates of the last ten years who have made significant progress in their professional achievements and contributions to the community, and in so doing exemplify the mission of the University: to prepare future leaders in service to the world. Graduates from the day, weekend, and graduate programs are eligible. 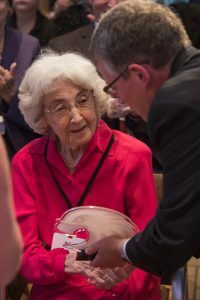 Honors Augsburg alumni or friends of the University who have given exceptional service that contributes substantially to the well being of the University by furthering its purposes and programs. Alumni, friends, faculty and staff, and groups who have served the University are eligible. 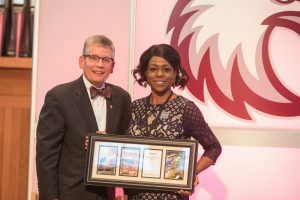 Augsburg University Alumni is defined as all those who have attended Augsburg, so the awards are open not only to graduates but to anyone who has been a student for at least one semester. Current members of the faculty (excluding faculty in phased retirement), staff, Board of Regents, Alumni Board and Young Alumni Council members are not eligible to receive an Alumni award. 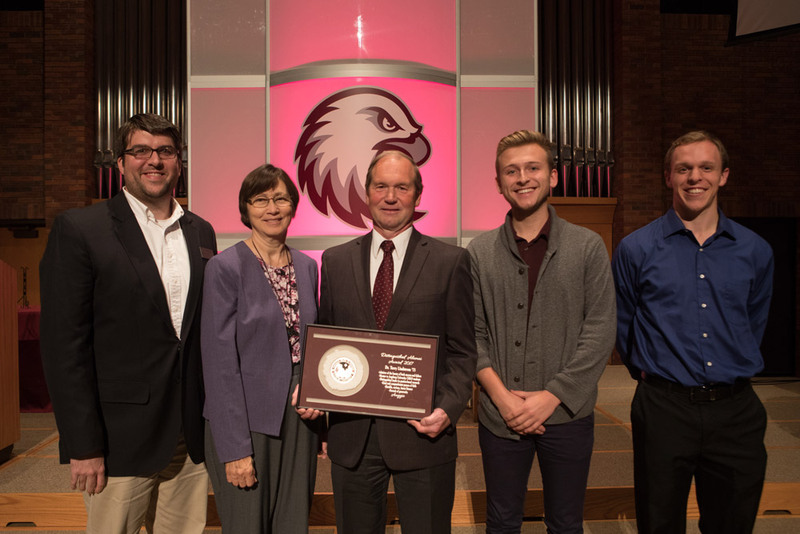 Friends of the University, as well as alumni, are eligible for the Spirit of Augsburg award. Only graduates within the past 10 years may be nominated for the First Decade award. Any award may be given posthumously. Each nomination to be considered complete must have a nomination form and a minimum of three letters of support detailing the candidate’s accomplishments. For the letters, you may solicit letters from coworkers, supervisors, community leaders, pastors, fellow alumni, classmates of the nominee, and family members. The content and heartfelt nature of the letters of support often make a substantial difference in the selection process, so choose people who will put some time and thought into their recommendation. More information about nominating someone can be found here. When will I hear about the nomination? Nominees for the Distinguished Alumni award and the Spirit of Augsbu rg award will be reviewed by and voted on by the Augsburg University Alumni Board. 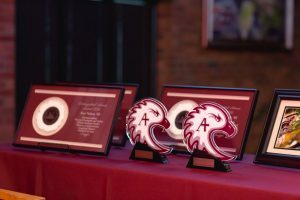 The First Decade award nominees will be reviewed and voted on by the Augsburg University Young Alumni Council. Persons selected to receive the award will be contacted by the Office of the President. 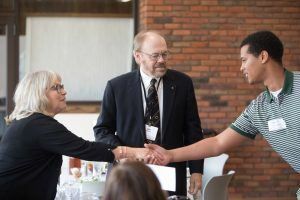 Information about the recipients of the awards will not be shared with nominators or the Augsburg community until all contact has been made by the Office of the President. How will Augsburgs Sesquicentennial effect the awards program? In 2019 and 2020 as Augsburg Celebrates its 150th-year Awards might not be given in the same manner as previous years. Preference will be given to alumni in reunion years (class of 2009, 2010, 1994, 1995, 1979, 1980, 1969, 1970). You are welcome to submit a nomination for people not in one of the listed reunion years but their nomination will be held until Homecoming 2021.